Tin Heart brings together a series of poems born out the experience of cardiac failure, surgery, the proximity of death, a heart transplant, and other extreme situations. 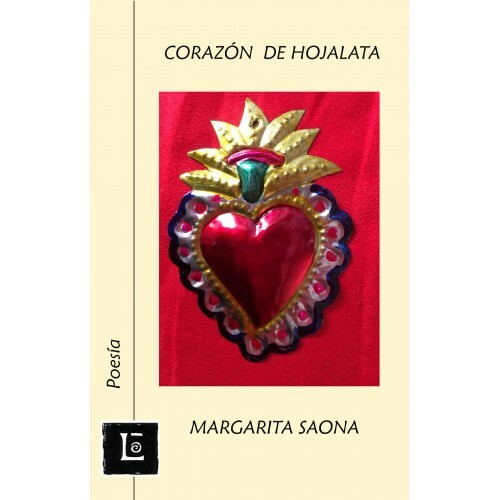 Margarita Saona confronts the pain, alienation, love, and otherness imposed by an infirm body with a language in which intensity, imagery, and rhythm do not detract from the simplicity of everyday words. Margarita Saona estudió lingüística y literatura en la Pontificia Universidad Católica del Perú y obtuvo el doctorado de literatura latinoamericana en la Universidad de Columbia, en Nueva York. Enseña en el departamento de estudios hispánicos en la Universidad de Illinois en Chicago. Ha publicado numerosos artículos en revistas especializadas, dos libros de crítica, Novelas familiares: Figuraciones de la nación en la novela latinoamericana contemporánea (Rosario, 2004) y Memory Matters in Transitional Perú (Londres, 2014), y dos libros de ficción breve, Comehoras (Lima, 2008) y Objeto perdido (Lima, 2012). Margarita Saona studied linguistics and literature at Pontificia Universidad Católica del Perú . 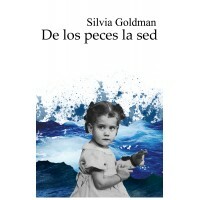 She received a Ph.D. in Latin American literature from Columbia University in New York. She lives in Chicago, where she teaches in the department of Hispanic Studies at the University of Illinois. She has published numerous articles, two books on literary and cultural criticism, Novelas familiares: Figuraciones de la nación en la novela latinoamericana contemporánea (Rosario, 2004) and Memory Matters in Transitional Perú (Londres, 2014), and two books of short fiction, Comehoras (Lima, 2008) and Objeto perdido (Lima, 2012).